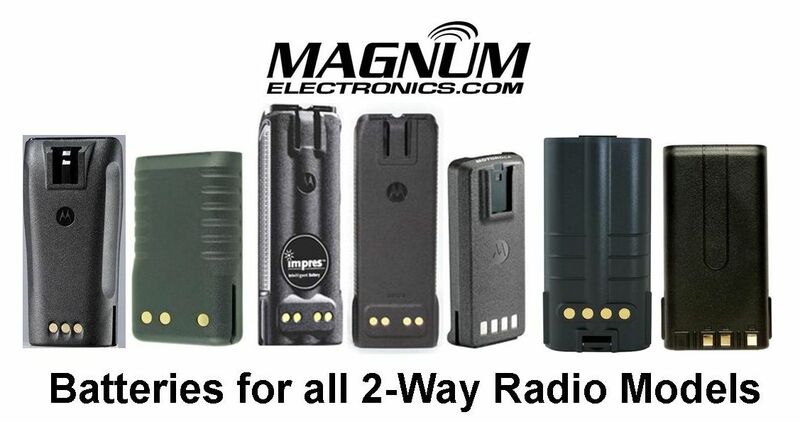 Check the Date Codes of Your 2-Way Radio Batteries | Magnum Electronics, Inc. It is that time again to check your radio batteries so you keep your communications loud and clear. Batteries begin to degrade after 18-24 months of use and can affect radio performance. Many intermittent radio problems are solved with a fresh battery. All Motorola batteries have a 3 digit date code on the battery label. Check the date code on your Motorola battery and if the first digit is a “0” or “9” it is a good time to replace it. The first digit represents the “Year” and the next digits are the “Week” manufactured. For example; 036 is the 36th week of 2010. All Motorola batteries carry a replacement warranty of at least a year after the date code and probably longer if marked IMPRES or contain NiCD cells. We carry Motorola Original OEM, Vertex-Standard OEM, and Power Products batteries for all current and discontinued radio models. We also carry replacement batteries for Harris, Kenwood, Icom, Tait, and many other hard to find models. Check our 2-Way Battery selection or call us and we will be happy to help you find the best battery for your needs. This entry was posted in APX Radios, IMPRES, Motorola, Portable Radios, Tech Tips, Vertex-Standard and tagged 2-way radio, Batteries, communications, Motorola, MOTOTRBO, Vertex-Standard, XTS by magnumelectronics. Bookmark the permalink. Pingback: Motorola XPR 6100, 6350, 6550 Battery Choices Explained | Magnum Electronics, Inc.
Pingback: Motorola MOTOTRBO Intrinsically-Safe Accessory Prices Up 10/1/17 | Magnum Electronics, Inc.